Indiana University Press. Near Fine. 1995. First Edition. Softcover. 9780253209948 . Large 8vo 9" - 10" tall; 352 pages; ""Folkloristics" ...will stand among the best folklore books ever written...it is unequalled in the number and detail of the illustrative examples it presents. 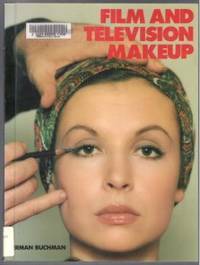 The book, indeed, is a veritable summary of the types of folkloric studies found in American journals and books in this century." - Carl Lindahl "Folkloristics" is the most complete and up-to-date study of folklore and folklore methodologies. Two noted folklore scholars outline four perspectives that researchers employ to conceptualize, document, and study the phenomena that we consider 'folklore': folklore as artifact, describable and diffusible entity, culture, and behavior. 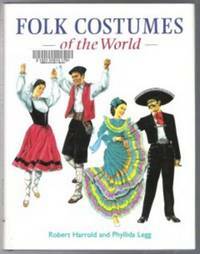 The opening chapter describes the pervasiveness of folklore in everyday life, including its uses in literature, films, television, cartoons, comic strips, and advertising. Subsequent chapters characterize and illustrate in detail the four perspectives used in folklore research, and the authors conclude by demonstrating the interrelatedness of the perspectives. Each chapter has five components: a characterization of the field of folkloristics or of a perspective used in studying folklore; examples, definitions, and quotations presented within boxes and embedded in the text at specific points; illustrations from or related to published works characterized; concluding statements that summarize principal points made in the chapter; and endnotes. "Folkloristics" employs a variety of folklore examples, such as myths, legends, ballads, jokes, riddles, traditional foods, festivals, and healing ceremonies - over 400 examples illustrating some 45 expressive forms and processes. These come from diverse peoples in the U. S. And other countries (47 national, tribal, and ethnic groups). The cultures represented include those of Native Americans (e. G. , Zuni, Winnebago, Hopi) , African Americans, Mexican Americans, Japanese Americans, Vietnamese, Filipinos, Tongans, Finns, the English, Russians, Peruvians, Costa Ricans, the Mende of Sierra Leone, and the Choke of Zaire, as well as the cultures of occupational groups, religious communities, children, women and gay men. (645) . Harper & Row. Very Good in Very Good dust jacket. 1975. First Edition. Hardcover. 0060141662 . Solid, clean condition. Ex-library book with laminated cover and usual ex-lib type markings. Pages are clean and tight, a little soiling to outer edge of pages, cloth worn at corners of hardcover. B/w illus. Jacket is scuffed with light wear at edges. The authors describe how to make and manipulate a new type of figure, which has cardboard as its base, making it lightweight and perfectly balanced. Part one concentrates on making the main character Kandu and his dog Ruff. 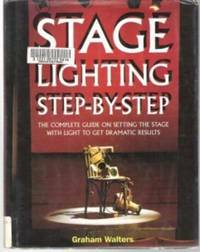 Part Two "Becoming a Puppeteer" covers performing, stages, scenery, props, lighting etc. 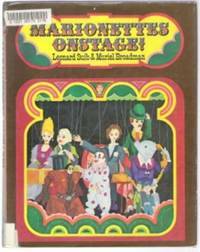 And Part Three covers Puppet Theater Management. 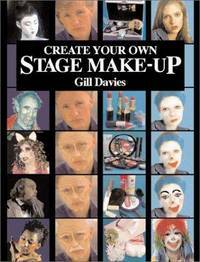 Suitable for all puppeteers, from the beginner to someone on their way to becoming a master. ; 4to 11" - 13" tall; 243 pages . Sulyma Productions. Very Good. 1991. First Edition. Non-Book. Tape plays well, box has a little wear at corners. Experience the Ukrainian Shumka Dancers as they tour Kiev, Ivano-Frankivsk, Lviv and Moscow. 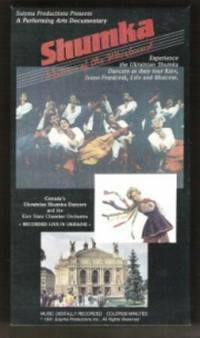 Starring Canada's Ukrainian Shumka Dancers and the Kiev State Chamber Orchestra. Recorded live in the Ukraine. 58 minutes. Region 1 (US & Canada). ; Video Tape; 8vo 8" - 9" tall . 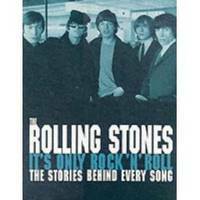 Schiffer Publishing. Very Good. 1994. First Edition. Softcover. 0887406467 . Ex-library book, but still in very nice condition. Sturdy laminated cover and usual ex-lib type markings. Pages are clean and tight, light age tanning to page edges, one earmark seen. Cover has light edge/corner wear to the laminate. Wonderful old b/w & colour illustrations. 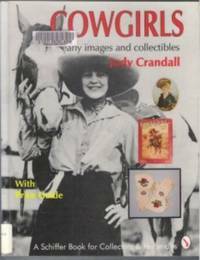 Contents: Intro; Postcard images of the rodeo cowgirl; the individual cowgirls; group pictures; rodeo scenes; romantic images of the cowgirl; performers, art cards and advertising; cowgirl three dimensional collectibles; bibliography; index. ; Schiffer Book for Collectors & Historians; 4to 11" - 13" tall; 126 pages . Edmonton: Reidmore Books. Fine in Very Good+ dust jacket. 1991. First Edition. Hardcover. 1895073014 . HC/DJ - fine/VG+. Hardcover is clean, tight and unmarked, a little bumping at corners and slight tanning to edges. Profusely illustrated in colour & b/w. Jacket has moderate scuffing, light edgewear/crinkling, light soiling and a few tiny edge tears, not clipped. The Ukrainian Shumka Dancers dazzle audiences across Canada and around the world. This book explores the energy created by the company that Frank Augustyn of the National Ballet has called "one of the most exciting and technically brilliant dance troupes in Canada today." (*Note - due to heavy weight, extra shipping will apply to some locations) ; 4to 11" - 13" tall; 125 pages . The Banff Centre Press. New. 2007. First Edition. Softcover. 9781894773294 . New book, no markings. Slight shelfwear to covers. A look behind the scenes at the creation and success of the summer dance program at the Banff Centre. Since 1947, dance has been dreamed and devised, and dancer's careers have been shaped and launched right here among the majesty of the mountains. Colour & b/w photos. [474os] ; Large 8vo 9" - 10" tall; 200 pages . Piccadilly Books. Very Good. 1993. First Edition. Softcover. 0941599213 . Ex-library book, but still in quite good condition, sturdy laminated cover & usual type markings. Internal pages clean & tight, light soiling/spotting outer edge of pages. Light edgewear to cover and a little edge curling to last few pages. B/w illustrations. 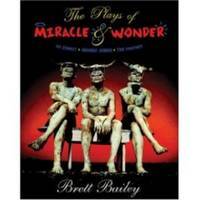 This is a guide on how to be entertainly funny using magical effects and offbeat stunts in a clownish way. 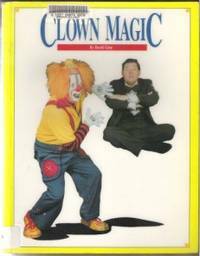 Shows how to effectively combine the humor and funny antics of clowning with the thrill and enchantment of magic. 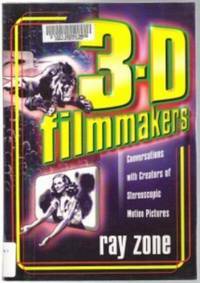 Hundreds of tried and tested comedy effects....  ; 4to 11" - 13" tall; 160 pages . Oak Publications. Very Good+. 1977. First Edition. Softcover. 0825603080 . Reprint edition. Clean, tight condition. CD is icluded and has only minimal wear. Book is clean and unmarked except for donation stamps on endpage. Light corner wear & scuffing to covers. ; 4to 11" - 13" tall; 96 pages; Basic & advanced techniques, with 38 tunes, plus detailed sections on how to hold the bow, bow movement, and positions. 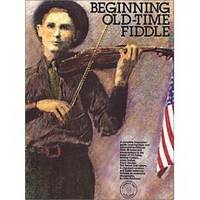 Includes tunes in the styles of J. P. Fraley, Gaither Carlton, Lowe Stokes, Kenny Hall and others. In standard notation and fiddle tablature. Includes an extensive discography. (468? ) . Hal Leonard Corporation. Near Fine. 2007. First Edition. Softcover. 1423416163 . Excellent condition - clean and unmarked. Cover has slight wear to corners. 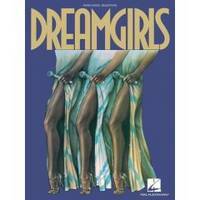 ; 4to 11" - 13" tall; 110 pages; 14 vocal selections (music and lyrics) from the Tony Award-winning musical, including: And I Am Telling You I'm Not Going * Cadillac Car * Family * Hard to Say Goodbye, My Love * I Am Changing * One Night Only * When I First Saw You * and more. [393-osl] . Rizzoli. Near Fine. 1995. First Edition. Softcover. 0847818837 . Excellent condition, clean & unmarked. Wonderful colour photos. Cover has light corner wear, light scuffing and 2 small crease to one corner. 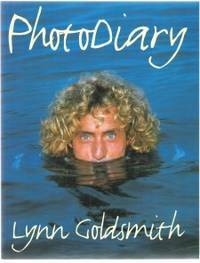 Photos & essay of Goldsmith's experiences with the artist. Includes: Bob Dylan, Miles Davis, Marianne Faithful, Prince, Devo, Debbie Harry, David Bowie, Eurythmics, Tracy Chapman, Roger Daltry and numerous others. 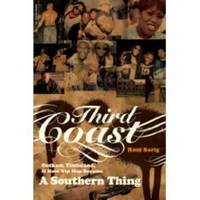 ; 4to 11" - 13" tall; 121 pages; (*Due to heavy weight, extra shipping may apply)  . Chronicle Books. Very Good. 1993. First Edition. Softcover. 081180416x . Pages clean and tight, occasional bit of ink rubbing from one page to the other, light age tanning. Cover has light edge and corner wear, light scuffing and 3 small tears across spine. Bottom edge of pages has a small remainder marking and light soiling. 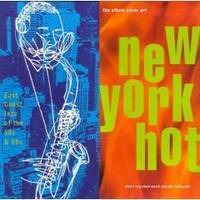 "New York Jazz: Coltrane, Miles, Mingus, Monk at their peak. And the album cover art produced by their labels - Prestige, Atlantic and Riverside - conveyed that same excitement through daring and innovative graphics." b/w & colour illus. . ; 4to 11" - 13" tall; 110 pages .